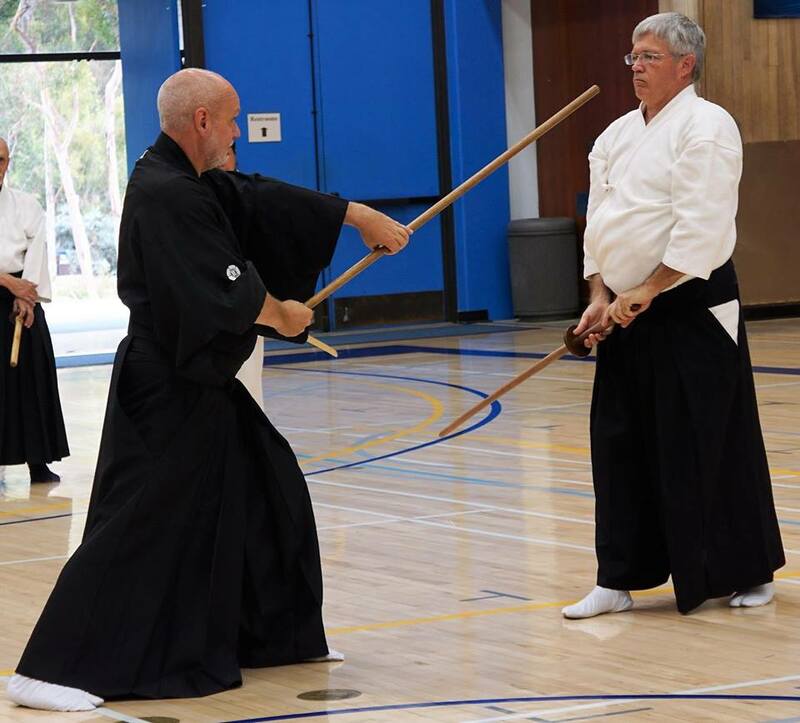 Blackbird Martial Arts (hosted at Ryushinkan Dojo, Tucson) will host a day of Shindo Muso Ryu Jojutsu on September 23, 2018. It will be offered by Carl Long-Hanshi, Chairman and So-Shihan of the Kokusai Nippon Budo Kai, and 22nd heir of his line of Muso Jikiden Eishin Ryu Iaijutsu. In jojutsu, the subject of the seminar, he holds the rank of 7th dan and the teaching license of Kyoshi issued by the Dai Nippon Butoku Kai organization. Shindo Muso-ryu Jojutsu was founded in the early 1600s by Muso Gonnosuke, and is the art of using a short staff (~50”) against a sword. Gonnosuke used this method to defeat famous swordsman Miyamoto Musashi, and became famous himself in turn. His art spread as a result, and we still practice it to this day. This seminar is a continuation of that tradition. * What to bring: please bring a jo and a bokuto (bokken) with a sturdy tsuba if possible. If you need a loaner, please contact me before the seminar. We will also have high quality weapons available for purchase. To register, use the included link to purchase a ticket. You may also contact Ben Couch, the organizer, directly via Facebook message or at bjcouch@gmail.com.